Which comes first, the chicken (buying a new home) or the egg (selling your current home)? There is no simple answer. Knowing and understanding your options can help you make the decision that’s right for you. There can be several advantages to buying a new home before selling your current one, so we’ve broken down a few things you should consider. You can take your time with the buying and moving process. You’ll have more time to shop for a new home that has the features and location that you want. Then once you buy your new home you can move in at your own pace, and put your current home on the market when ready. On the other hand, if you sell your current home before buying, you face the possibility of not having a place to live. There are options. 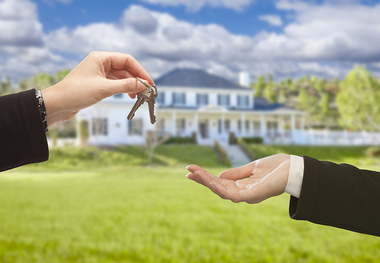 You could rent until you buy a new home, including the possibility of renting your current home from the new owners. Or, once you have an offer, you can begin shopping for your new home and try to coordinate closing dates. While not impossible, this would take a bit of finagling and a lot of luck. If you still owe money on your current home, then you’ll have to be able to afford two mortgages until your current home sells. How quickly that happens depends on the housing market in your area. Having two house payments will limit your purchasing power for a new home. Selling before you buy gives you the advantage of knowing the exact amount you can put toward your new home purchase. While this might give you more peace of mind and buying power, it might mean missing out on homes you want while waiting for yours to sell. Your real estate agent can estimate the value of your current home and how quickly the current market is moving. They can also help you find information about neighborhoods you are interested in moving to and how much buying power you’ll need for the home you want. A mortgage lender can help you figure out if you can afford to have two mortgages. They can also inform you about how to use equity in your current home to help with the down payment on a new home. Whether you decide to buy first or sell first, you can make the process easier by being prepared and able to take action when the right opportunity comes along. Have more questions about buying a new home before selling your current one? Feel free to contact me for more information.